What is inspected with a professional American Pride Home Inspection? A professional home inspection is an unbiased examination of the installed systems, components and physical structure of a house from the exterior through interior—from roof to foundation. We also perform Termite, Irrigation system, Pool and Spa Inspections. An American Pride Home Inspection exceeds the standards in the Oklahoma Certified Home Inspectiors Regulations and the InterNACHI Standards of Practice. An American Pride Home Inspection provides you with the knowledge to make an informed real estate decision, as well as teach you how to best protect your investment. Our Inspector will emphasize home maintenance and educate you on how to most effectively, economically and safely operate all of the systems and equipment. Your ability to take care of, and safely enjoy your home is one our main priorities. 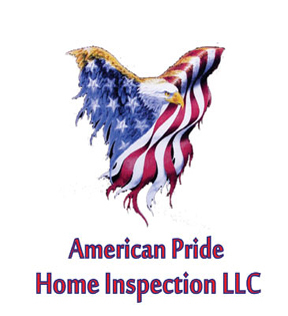 An American Pride Home Inspection invites you—to come along and watch as we inspect your home. Your inspector will view the property with you explaining everything in detail for your ease in understanding. Improvements for safety and energy efficiency are recommended. You are encouraged to ask questions at any time during your home inspection.